Often, in these groups, you’re given an opportunity to share your recent work. I had shown my recent work for Everything After the Ring and apparently, it caught the eye of Hallie from Better Beginnings. I was so excited to hear from her! She is another female entrepreneur in Minneapolis looking to update her brand. We chatted through the various packages and then I got to work. I first asked Hallie to fill out a brand questionnaire that Hallie. She had fantastic insight into her audience that made envisioning the direction of her brand easy. 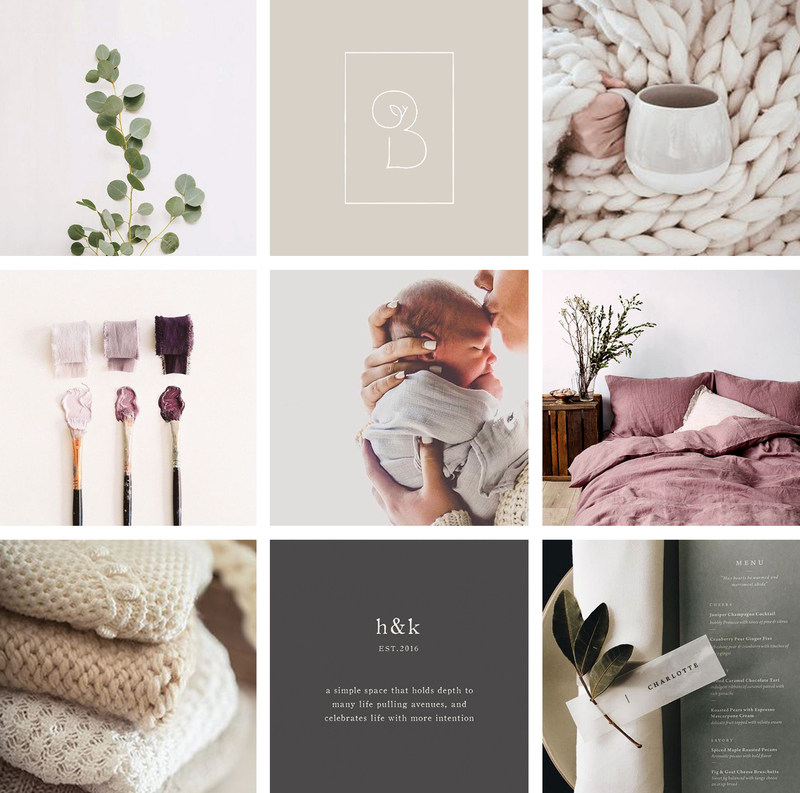 From there, I created a mood board to help us visualize the high-level brand direction. We went with soft, mature tones that were calm, while still feeling classic and elegant. 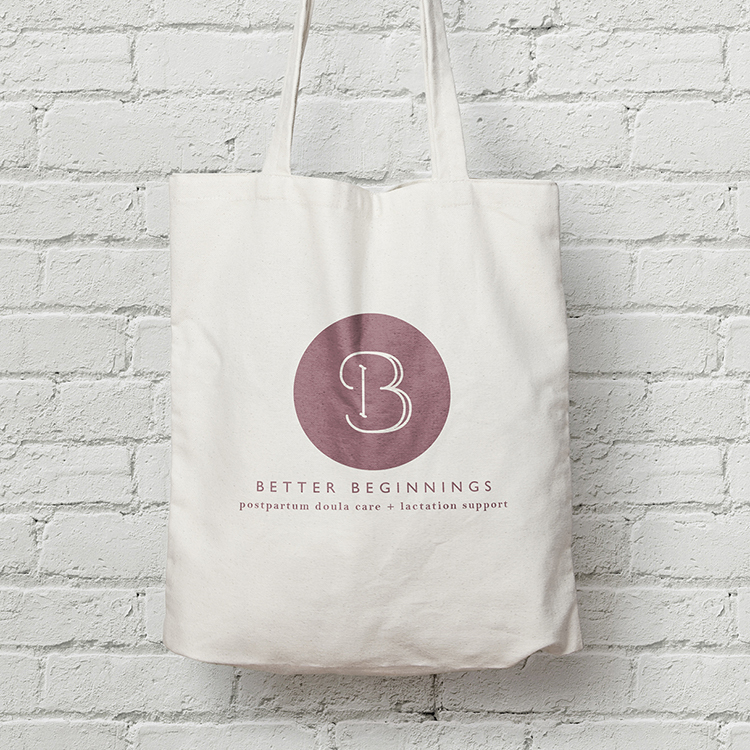 The more we talked through her brand, the more I thought about one of my favorite childhood authors - Beatrix Potter. I loved the tone of her writing and the illustrations that went along with her stories. I used her books as inspiration for the logo pieces below. Hallie was immediately drawn to the first option. 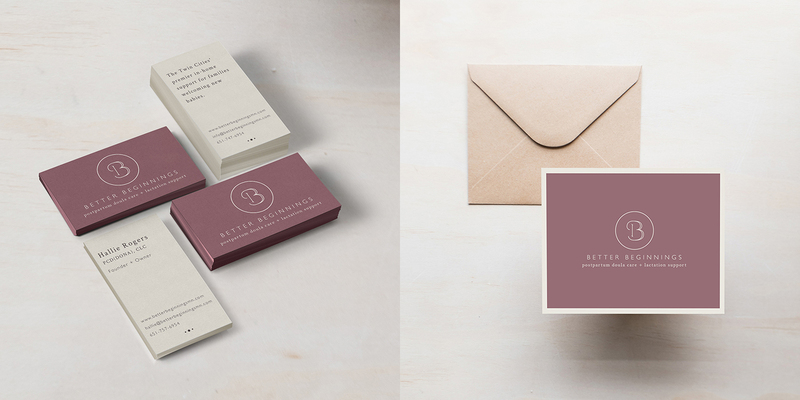 She loved the simplicity and character of the monogram and felt that this would do a great job elevating her brand. 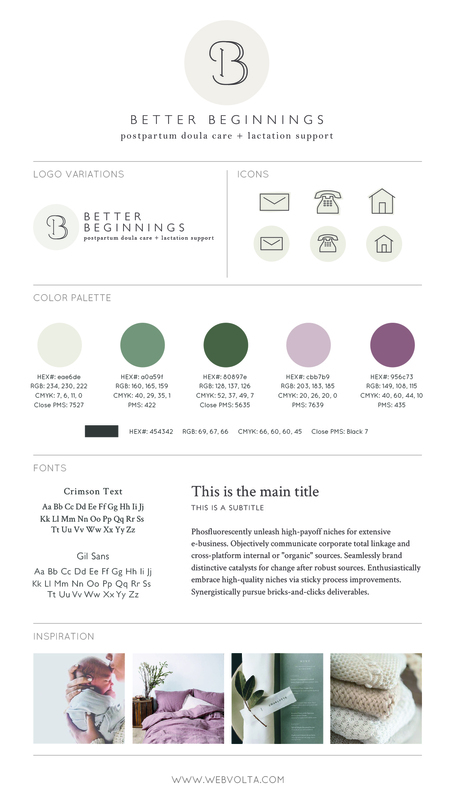 Now that we had a logo finalized, it was time to select colors, fonts, icon ideas that Hallie could use throughout her brand. I also created print materials and products with her new brand direction. I couldn’t be happier with how it all came together! 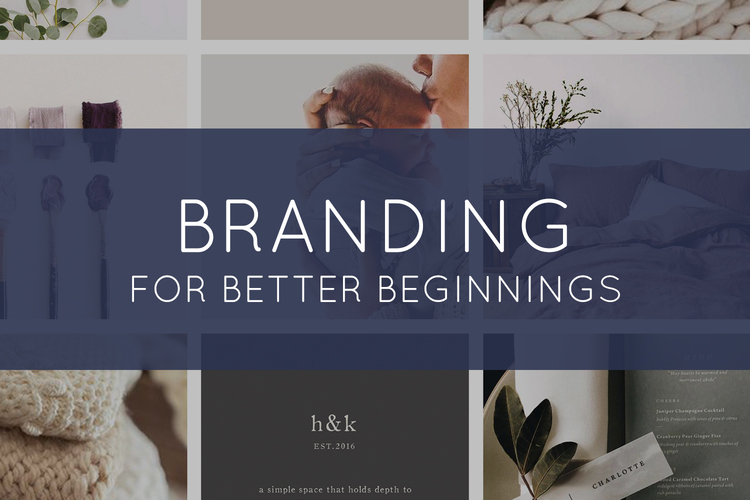 Are you looking to update your brand, or maybe you need to start from scratch? We’d love to hear from you! Contact us and let us know how we can help.